Much discussion in recent months has been devoted to gender inequality in the art industry. But perhaps more glaring is the lack of social diversity and mobility. Auction houses and commercial galleries are still glaringly the preserve of the privileged, white and expensively dressed. In order to get a foot on the art world ladder, graduates are expected to do months—and occasionally years—of unpaid or poorly paid internships, a form of National Service only viable if the bank of mum and dad will subsidise it. But what if there is no bank of mum and dad? Easel, a new UK-based charitable initiative, has been established “to increase accessibility and social mobility in the art industry and to encourage people of all backgrounds to consider it a viable career choice”, according to a statement. Focused on those from sixth form to post-graduate level, Easel gives information about working in the art industry via its website and an annual careers fair; runs a mentorship programme; and, in future, plans to run a grant scheme supporting people at the start of their career, through subsidising internships and the low wages often paid in junior roles. The grant scheme will be open to those who have been through the mentorship programme but cannot support themselves in entry level roles. Eligible candidates will have their income subsidised by a grant to bring them up to the minimum wage if they are under 25 years old, and up to the London living wage if they are over 25. Easel’s launch was enabled via a crowdfunding appeal in 2017 which raised over £10,000, and is now largely funded through a membership scheme, with early supporters including Christie’s and Sotheby’s. 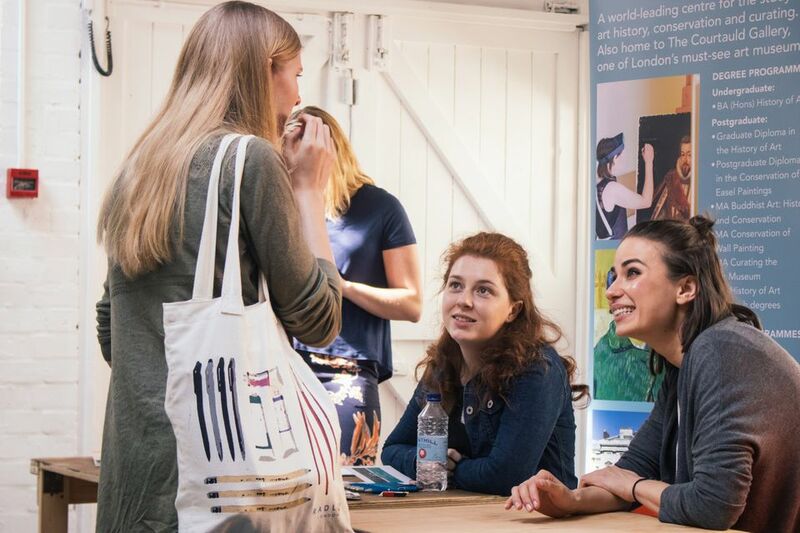 The organisation's first careers fair took place at the Institute of Contemporary Arts in London on 8 June, and the mentorship programme is now live. Easel has 300 mentees signed up in need of mentors and are looking for more companies and individuals to sponsor candidates through the grant scheme. “Not only is there is a dearth of information for students and graduates who might be interested in pursuing a career in the art business, it also remains a largely exclusive environment and jobs are too often the preserve of those privileged enough to have some form of financial support in their early career,” says Charlotte Maxwell, Easel’s founder who was previously the deputy director at the London gallery Messum's Fine Art, and before that worked at Christie’s. The initiative “is not focussed on artists but on the wide range of professionals who support them, from restorers, art lawyers and researchers to art dealers, journalists and curators”, she adds.